Help the wild stay wild. Wilderness parks like Quetico are always at risk. Hazards like commercial logging in the past have affected 95 percent of Quetico’s precious forests. Demand for resources like water, minerals and timber is high, and it can be hard for provincial parks to defend themselves. 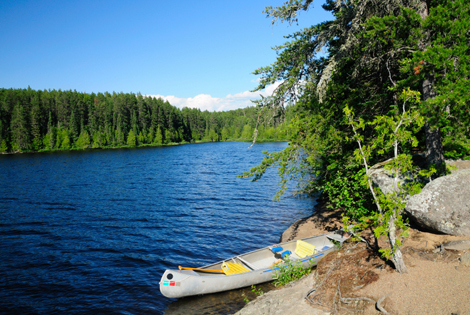 Over the years, The Quetico Foundation has successfully protected the park. We’ve also conducted research, planted trees, and helped youth get excited about Canadian wilderness. By becoming a monthly donor to The Quetico Foundation, you will provided a consistent and reliable source of funding that will allow us to plan ahead in our efforts to support the preservation of Quetico Park though research and education. Your gift will also help us respond quickly in situations where we need to advocate for the Park’s sustainability. Your bequest or endowment will protect and preserve Quetico Park for generations to come. Reduce your capital gains tax while safeguarding pristine Canadian wilderness. Join us in delivering our diverse programs and activities. Collaborate with The Quetico Foundation, or run your own Quetico-themed fundraiser.